I have more than 6 years experience on Product Design working as a User Experience, Interaction and Interface designer. I hold an MSc on Information Systems Management. The contribution to all the projects I have undertaken, spans the entire spectrum of product design, from strategic conceptualisation to front-end coding. These days I am the Head of Product at Intale. I have the responsibility for the feedback gathering loop, the backlog prioritization and the end-to-end experience that Intale provides to it’s customers. At the same time I am responsible for the design and maintenance of a tailored agile workflow between teams, internal and external stakeholders. I joined Intale in early 2013, as a User Experience, Interaction and Interface Designer. Currently I am part of the management team and I have been placed as the Head of Product, managing Intale’s core product, Intale Point. 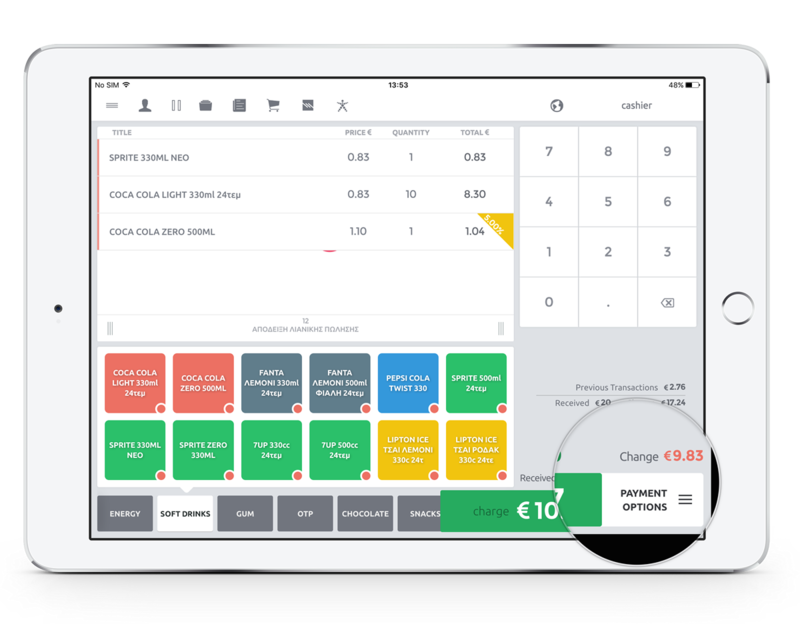 Intale Point is an end-to-end solution translated to a modern POS application combined with a largely complicated cross-platform web Back Office Cloud App. Built from the ground up, it covers all C-Store functions, giving E.R.P. capabilities to the store owner. It is by far the largest project I have undertaken. Intale Ads Display is a customer facing screen that displays live basket information at the point of sale. It is connected wirelessly with Intale Point. It’s built using web technologies and runs on a tablet, placed at the eye level of the consumer. The display is capable of showing promotions based on the scanned basket items, specified date ranges and time of day.